The proposal died sometime in the 1980s, but you can see the stretch from Rt. 7 south eventually became Route 7100 Fairfax County Parkway Route 286 (WTF?) (One reason? Check out the proposed alignment north of Rt. 7, which would have run the highway smack through some of the county's fancy high-end housing stock in "Great" Falls, which simply Would Not Do.) Still, it's fun to imagine a giant cloverleaf exchange at Baron Cameron, surrounded on both sides by gas stations and fry pits instead of... well, gas stations and fry pits. Plus a Harris Teeter! Why not continue making further improvements to the existing road network? Doesn't matter whether we call it a Second Beltway or the Road to Perdition, does it? A decent connector from I95 south to Dulles would still be a big help to some of us, if even east-west traffic flows thru Loudoun and Fairfax remain the priority for others. Promote suburban sprawl? Heck, it already is suburban! 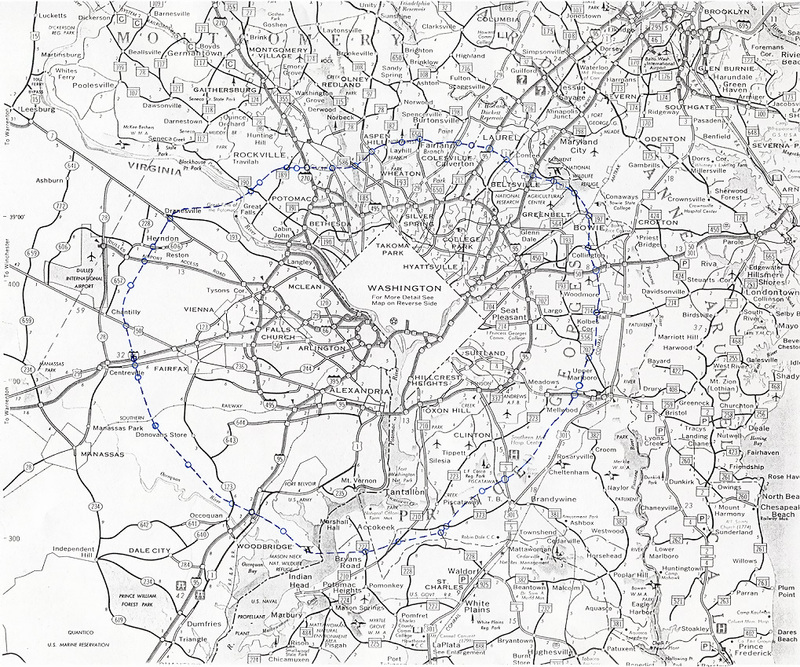 Reston has long had an inner Beltway and an outer Beltway. The inner Beltway is made of up those 1% RA homeowners that own lakefront properties with exclusive littoral rights access to lakes owned and maintained by the RA. 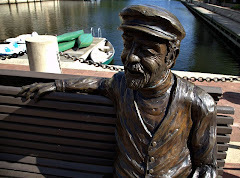 The outer Betlway is every other homeowner in Reston that pays into the RA to maintain the lakes enjoyed by the inner Betlway, an enjoyment enhanced through their littoral rights. Not to mention a property value enhanced through such littoral rights. The inner Beltway cruises around on RA lakes aboard their ships of state conveniently docked at the edge of their homes. The outer Beltway risks their lives (at Lake Thoreau, for example) attempting to stop dead along South Lakes Drive in an awesomely scary attempt to access the only public landing to launch their river rat rafts, which involves praying you're not rear-ended, plus hoping that you don't hit children and dog walkers as you navigate across the grass, as well as an RA path, to the tiny gravel patch lanuch site. At Lake Thoreau, the inner Beltway honors the outer Beltway's financial contributions that make their heavenly slice of pie view possible by hosting an annual illegal firewworks display from their ships of state during the 4th of July. Good point, Mean Daddy D! Those damn firworks drive me crazy every year--not to mention that the "lake people" at Lake Thoreau have their annual end of summer party. The obnoxious fireworks are exceeded only by the too-loud bar band performing bad covers of worn out tunes from one of the rafts. If I hear that band butcher "Proud Mary" just one more time, I'm gonna have to engage in submarine warfare against all those rafts.